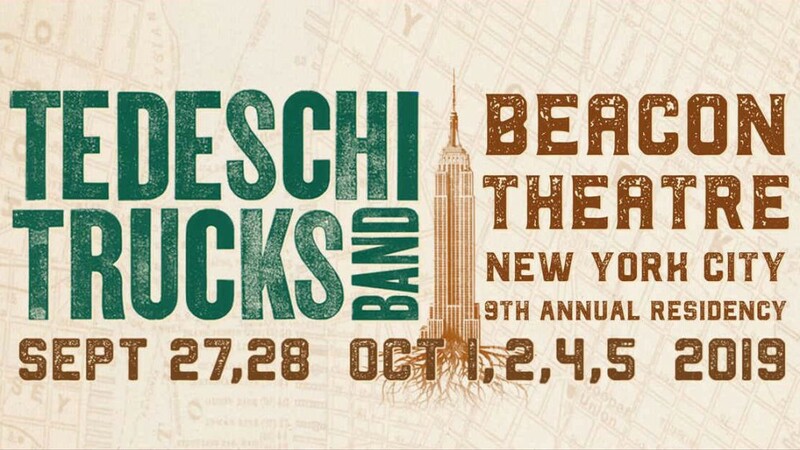 Susan, Derek, and the rest of the TTB will be returning to the Beacon Theatre in New York City this September and October for six nights. For many years, the Allman Brothers Band held a residency at the Beacon Theatre, and for nine years the Tedeschi Trucks Band has continued that legacy. At this time, the shows are scheduled for September 27, 28, and October 1, 2, 4, and 5. Two sets are planned for four of the concerts, and the other two will feature "special guests" which have not been announced. These are sure to be emotional performances for both the fans and band since Kofi Burbridge's passing in February. The group is currently on tour in Europe and will begin a North American leg in May that will continue through the summer months. 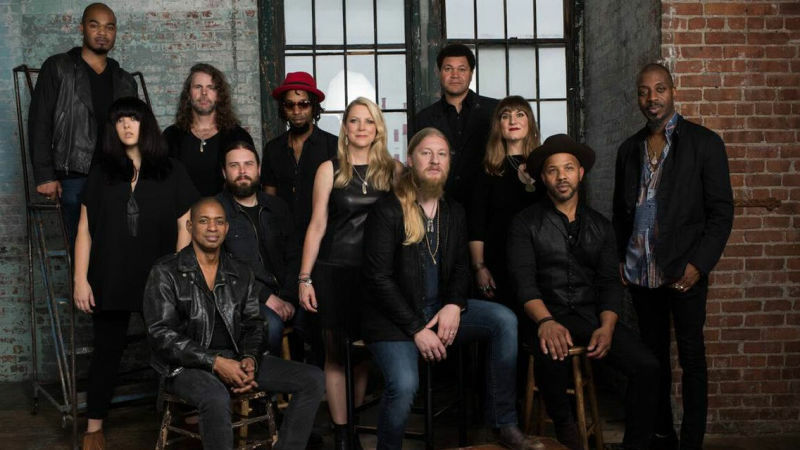 When do Tedeschi Trucks Band 2019 NYC tickets go on sale and what is the presale code? Tickets for their previously announced shows are now on sale. For the new dates, the general public on-sale begins as early as April 12 at 10 am local time. Swamp Family Club members can pick up tickets now. Presales for fans will begin on April 9. Chase cardmembers, Ticketmaster, Live Nation, LN Mobile App, and local venue / radio presales will follow. Keep in mind, each date is different and details are subject to change. Click through the individual concert links for more information about the show you're interested in. The fan club presale password is TTBBEACON. For the Chase cardmember presale, you can use the promo passcode 541712, but you will need a Chase card to complete your purchase. The Live Nation / Ticketmaster presale password is VIBES and the LN Mobile App code is COVERT. We recommend following Tedeschi Trucks Band on their social media accounts and signing up for their free email newsletter (top of page), in addition to checking your local venue’s social media and email subscription, to get the most up-to-date information. For concert tickets and more, check out the Tedeschi Trucks Band Zumic artist page.